Dynamic pressure relief mattresses like the Sidhil Apollo Alternating Air Mattress provide excellent pressure relief when a patient is in bed, but for 24-hour pressure care, a dynamic cushion is needed for use in chairs and wheelchairs. The Sidhil Apollo Dynamic Therapy Pressure Relief Seat Cushion is designed to the same specifications as the Apollo Mattress, allowing the same reliable care to be provided around the clock. Compatible with the Sidhil Artemis Pump, this cushion provides pressure relief for those at high risk of pressure ulcer development. This cushion uses the same advanced system as the Sidhil Apollo Mattress, allowing 24-hour pressure care when the two products are used in conjunction. With a figure-of-eight cell construction that allows a sub-cell to stay inflated to prevent bottoming out, this cushion is an excellent around-the-clock pressure care solution. 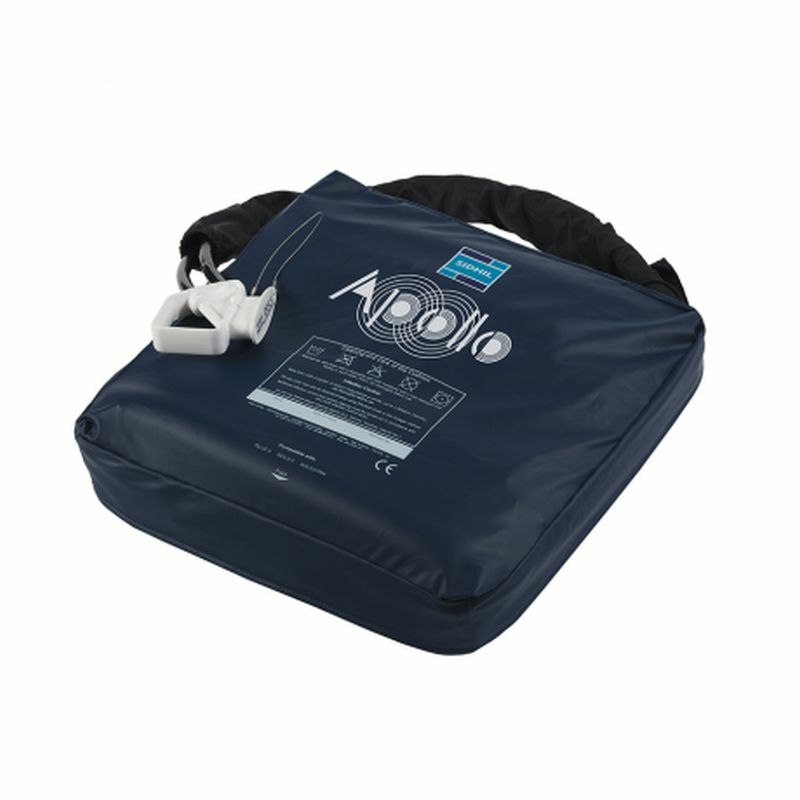 Please be advised that the Sidhil Apollo Dynamic Therapy Pressure Relief Seat Cushion is usually delivered within 1 week of your order being placed. We would advise you to consider this delivery estimation before placing your order. For more information, please contact our Customer Care Team at 020 7501 0592.